Thank you, Colleen! I will definitely be joining your lovely link up on Wednesday – thank you for making me feel so welcome. I forwarded this to my parents-in-law. They said they’ll just send the packaging next year! 😀 I don’t think my husband would be very happy with that! We did this too. I love the Lego idea. Don’t we all have plenty of them to work with! Yep, good to put all the Lego adorning our floors to work! I liked your cotton idea (not sure if you noticed but I linked to your post towards the end of mine). LOL! 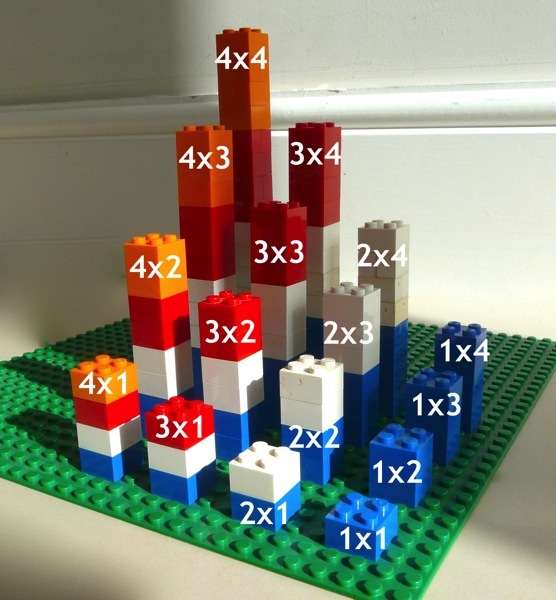 I save polystyrene too, for the just-in-case-we-need-it moments… This is a great visual activity for multiplication. Thanks for sharing! There is so much to love about this post, but I particularly enjoyed your daughter turning it into a minecraft adventure. My son would be very impressed! Thank you, Claire. C(10) asked to do more Minecraft maths today. We zipped through perimeter, area and volume. She enjoyed it so much more for being able to make Minecraft models of everything! How fun! I particularly loved how your kids also tried the exercise using legos and minecraft. 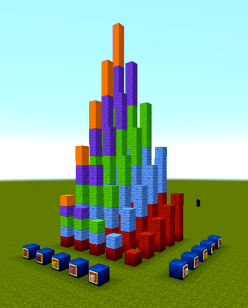 I’m wondering if C(10) would enjoy seeing what would happen if she built an exponential tower? Thanks, Dana! I’m intrigued by the idea of an exponential tower … sounds fun and like it would go well with C(10)’s fascination with the squares diagonal. Can you explain it a teeny bit more so I know how to do it?! My guess: an exponential tower would go up by powers each time. So the 1’s row would always stay the same level (1, 1×1, 1x1x1, …), while the 2’s row would double each time, and the 3’s would triple, etc. Better try it in Minecraft, or get some loooong skewers. Exponential growth is crazy-wild strange. For instance, here is an example of the powers of 2: you can tear a piece of paper in half and stack the two halves together. Then tear them again and stack to make a four-layer pile. And if you keep doing this, the pile will keep growing, right? So what if you started with a big enough piece of paper that you could do the tear-and-stack thing 100 times: how high would it go? Ooh that sounds like a fun investigation (or series of investigations). Terrific idea! I love that both towers are so inexpensive (if you have legos) and easy to make. 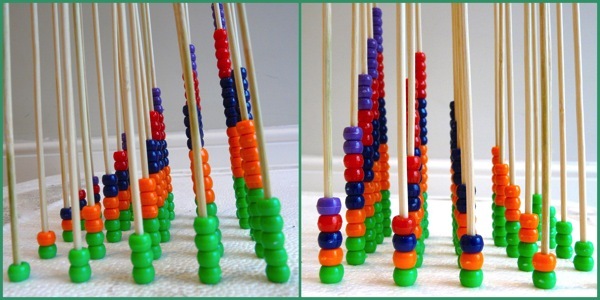 When we get back to multiplication in our math book we will definitely give this a try. Thanks for sharing! Oh and if you don’t have foam board on hand they usually carry it at the Dollar Tree. Thank you Rachel. Dollar Tree is one of the shops I wish we had over here in the UK – it sounds so useful for homeschool supplies! Another is Target. Last time I was over there I came home with a bulging suitcase full of whiteboards and the like. My husband thought I’d lost it but I definitely got some bargains! I cannot tell you how much my kids love Legos. Love. They are doing this this weekend and they will enjoy it so much. Thanks for the ideas. I should propose to my daughter to make a MineCraft tower too 🙂 I am including this post to my math round up for Monday after school hostess post. I love the Lego idea! I have a Lego-maniac who’s going to be learning multiplication before the end of the year! Sounds like a great combination, Jessy! Isn’t it? And hands-on too. Wow. 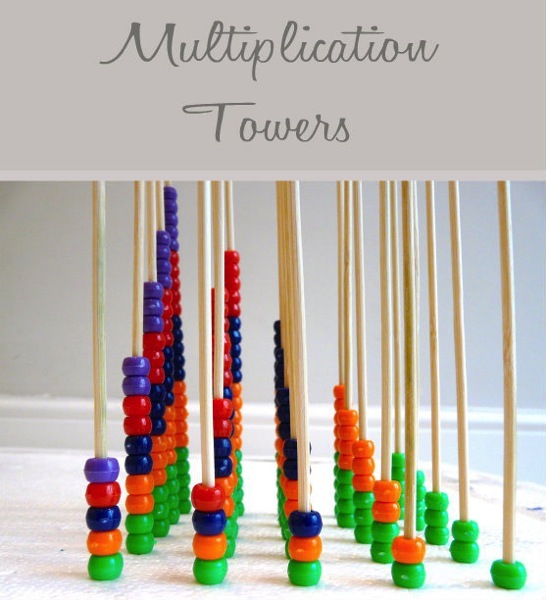 Great post, I’ll definitely be using this idea when I introduce multiplication to my boy. He’ll love the lego and minecraft towers. Thank you so much, Debbie. 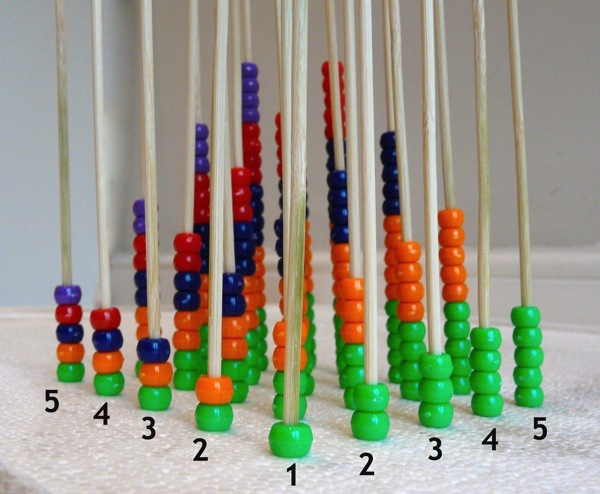 I love activities that help kids understand concepts rather than just learning them by rote.